Florida Statute 901.36 makes it a crime to knowingly give law enforcement false identification while you are detained or under arrest. This statute also makes it a crime to provide false identification while detained or under arrest and another person is hurt by the lie. Individuals who are detained or arrested for a crime sometimes incorrectly think they cannot have the crime charged against them because they use a different name. They will be charged with the first crime, but not only that, they will have this charge added on as well. Innocent people can sometimes get accused of this crime. The person could have misunderstood the situation or what was being asked and gave another name. This can happen where there is a language barrier and the officer does not know the language well. Also, the defendant could have hearing or mental issues which caused the other name to have been given. The defendant could have also not have known the undercover police officer was really an officer; therefore, the defendant gave a fake name because the defendant did not want to give out his info to a stranger. (3) At the time, the officer was a law enforcement officer. This crime is committed when a person is being legally detained or is under arrest. If a person is not detained or placed under arrest, then the person could not have committed this crime. For example, if a police officer just walks up to an individual and asks the individual for their name and the individual gives a fake name, the individual has not committed this crime because he was not detained or under arrest. See D.K.D. v. State. If the defendant is being charged under 901.36(2) for causing harm to another person, the defendant’s actions must have actually caused the harm and not been a mere possibility. See B.B. v. State. Anyone who gives false identification or a false name to law enforcement while they are detained or under arrest, commits a first-degree misdemeanor which is punishable up to 365 days in jail and a $1,000 fine. If anyone is adversely affected by the use of his or her name, the crime is a third-degree felony which is punishable up to 5 years in prison and a $1,000 fine. For example, if Bob really says his name is Sam and Bob is arrested, charged, and convicted under Sam’s name and Sam can’t find a job because this conviction is popping up on a background check, then Bob can be guilty of committing this crime. Additionally, a court may order Bob to give restitution to Sam. These charges can be defended. Our attorneys will seek to aggressively defend your case. If you are being charged with this crime, call our law offices to schedule a free consultation. We want to find out as much as you know so we can put together a defense for your case. We will take depositions of the individuals involved to find out what was observed. 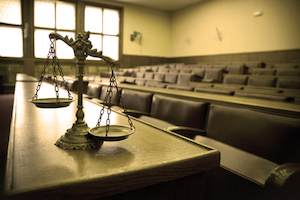 We will fight your case all the way to trial; however, not every case can be won. Sometimes the wisest thing to do is to negotiate a plea deal. Our attorneys will still keep on working for you by trying to convince the prosecutor and judge to change the charges or reduce the sentence. Whatever your situation may be, our attorneys will fight to get you the best outcome. Call today so we can get to work helping you.